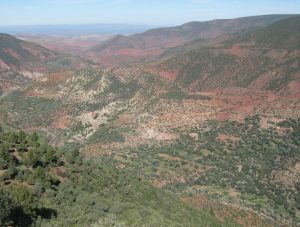 Wild boar were certainly a main prey species for lions in the Atlas Mountains, but also red deer (Barbary deer) and barbary sheep, plus oryx, addax and small gazelles(Cuvier’s gazelle, Dorcas gazelle, Dama gazelle). As human inhabitants became more numerous the temptation for predating livestock grew. Lions were a threat to the mixed flocks (sheep and goats) which were kept in mountainous areas by pastoralists. Flocks would not be left overnight near wooded areas or places known to be inhabited by predators, and would be moved closer to villages or to open ground at least. Flocks up in the higher ground that would stay out but if the herder was wary they would put up rough stockades of thorn bushes as protection from leopards, jackals and hyenas. This appears likely because the same type of temporary construction was used by local guides taking people travelling through the mountains if the had to stay overnight in a remote areas in the 1800s and early 1900s. Cattle were also vulnerable and many accounts mention their demise at the jaws of lions. Additionally on the domestic front were pack animals, the camels and mules used by travellers and pastoralists. It would not be unusual for a rough stone shed or shelter to be made near regular pastures (especially in cattle pastures) for farmers to stay in overnight – more common in lowlands hills though. If a flock had been attacked previously, the farmer would stay in the hope the visiting predator would venture in again and could be shot. There are certainly accounts of this ‘stake out’ approach in Tunisia and Algeria in the 1800s. Black, SA (2016) The Challenges and Relevance of Exploring the Genetics of North Africa’s “Barbary Lion” and the Conservation of Putative Descendants in Captivity. International Journal of Evolutionary Biology vol 2-16, Article ID 6901892 9 pages https://doi.org/10.1155/2016/6901892. This entry was posted in Ecology on April 15, 2018 by Simon Black. 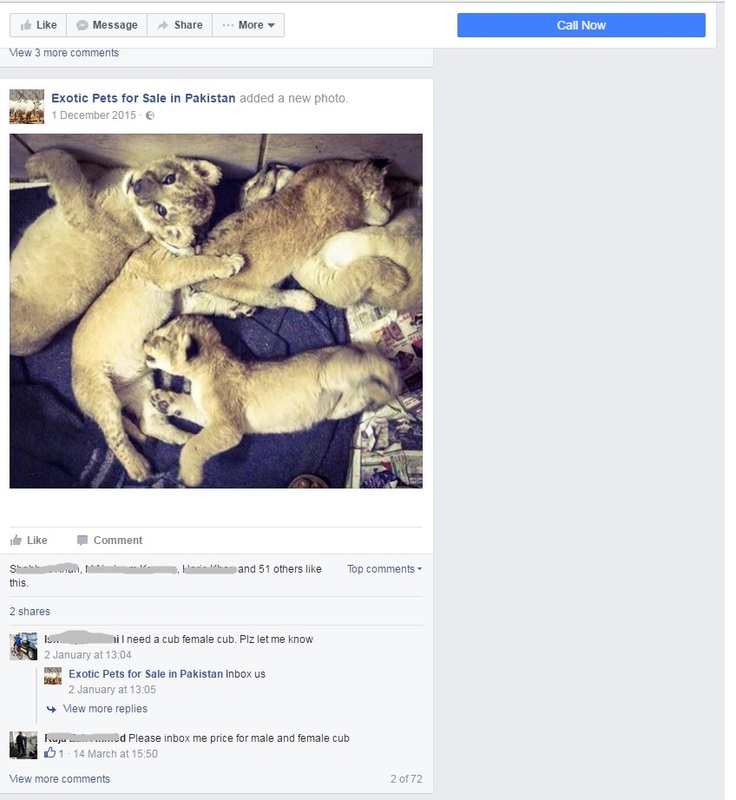 Lions in Pakistan – wild or released – implications? The last of lion killed in the regions of Pakistan was shot in 1842 near Kot Diji in Sindh. 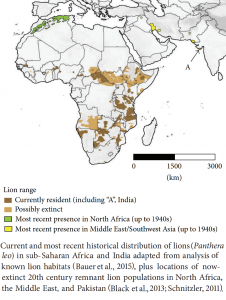 However, with conserved population of the species (hosted by the Gir Forest in Gujarat, India) now expanding to the south and west, the possibility of lions leaving their protected areas and eventually expanding their range north or west into Pakistan is a possibility. There are even hints that lions have already moved into the Pakistani countryside bordering India (Naqaush, 2014). Is another explanation possible? Might captive animals be released in remote areas and then been seen and considered ‘wild’ specimens? Recent social media posts allude to an active trade in cubs. When cubs become adults they become a new proposition. What if a collector or breeder ends up with too many males or an incompatible pair? 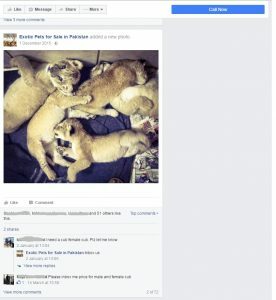 Where do these captive lions come from? India is unlikley, africa, or african-origin captive history is more likely. WHat if those ex-captives hybridise with the wild asiatic lion? The local countryside might, to an unwise but disgruntled owner, seem a good place to make unwanted animals ‘disappear’…for lion conservation it could be a whole new problem. This entry was posted in Conservation, Cultural Impact, Ecology and tagged Asiatic, India, lion on February 24, 2017 by Simon Black. 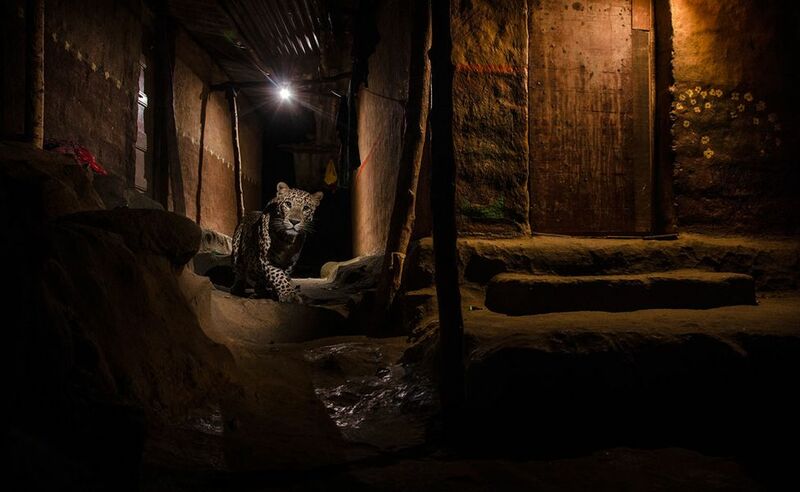 A leopard ghosts through an alley in a suburb of Mumbai bordering Sanjay Gandhi National Park. Leopards often enter the streets at night, which can lead to conflict with humans. This outstanding photo taken by India’s Nayan Khanolkar, was Urban category winner in the Natural History Museum’s 2016 Wildlife Photographer of the Year. Leopards have been shown to shift territories in areas where tiger conservation in protected areas has allowed the larger species to dominate a habitat. 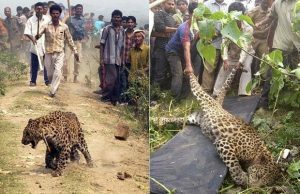 This means that leopards, a highly adaptable species, are pushed into rural and urban areas. Inevitably, this brings them into conflict with people. 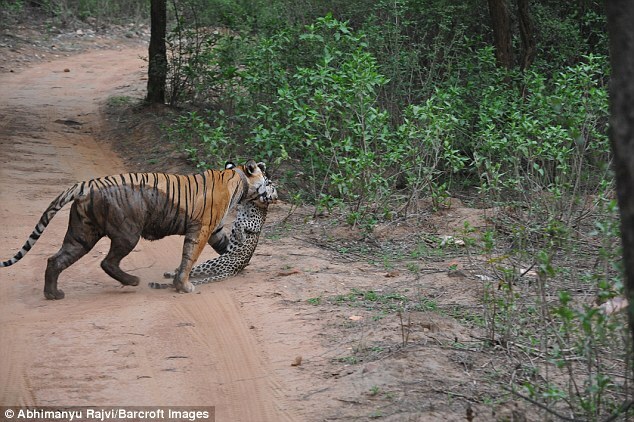 It appears that leopards avoid tigers in space, but humans in time and these differences in behaviour have implications for managing conservation in areas where human-dominated landscapes border leopard and tiger territories. This entry was posted in Conservation, Ecology and tagged conflict, India, leopard on December 10, 2016 by Simon Black. Lions have enjoyed significant protection in Gujarat’s Gir Forest in India. 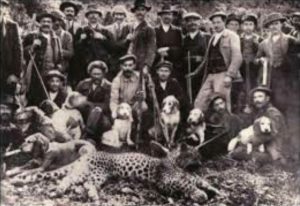 There are accounts of colonial and local hunters shooting animals outside the state in the late 19th century. Lions are in severe decline across sub-Saharan Africa, most particularly in West and Central African countries. Even in Eastern or Southeastern Africa many populations are now isolated by geography or fences. The decline of the species across Africa is worryingly similar to the historical disappearances of lions from other regions. 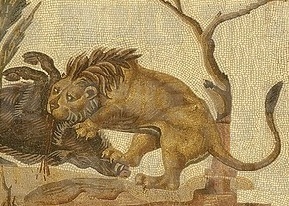 Recent collation and analysis of historical records have given insight into the range of the Barbary lion in North Africa, providing important insights into how lion populations are in decline, the point at which they are most vulnerable to extinction and what the animals tend to do under extreme persecution. For example, Black et al. 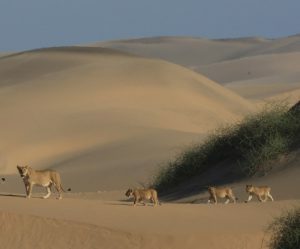 (2013) confirm that the range of lions reached far further south into the Saharan Atlas of Algeria than was ever known, even in the mid 1800s when numbers were higher and lion hunting was common in the region. Individual animals appear to have ranged across a wide expanse of arid habitat. This mean that the populations across Algeria could be considered contiguous with populations in the high atlas of southern Morocco. In India similar reports from 19th century colonial India include hunters taking lions in the Jahore and Marwar districts of Rajasthan in the 1870s, well north of their stronghold in the Gir forest, Gujarat state the last significant home of Asiatic lions over the past 100 years. In 1872 a professional hunter (Bhil Shikari) associated with a Mr. T. W. Miles brought in the skin of a full-grown Asiatic lioness which he had shot on the Anadra side of Mount Abu, the last met with in Sirohi districts. Around the same year a Colonel Hayland bagged four lions near Jaswantpura, in Marwar. These were apparently the last lions seen across the Kutch border into Rajasthan (Adams, 1899). Lions are a long-lived species, so if isolated individuals range to less-threatened areas they are able to survive for prolonged periods, perhaps giving the impression of a population being maintained. This may not be a reality of persistence, but instead an indication of a single wandering, isolated individual as is suspected today in the recent lion sighting in Gabon. From a conservation perspective, it is important to separate these exceptional ‘one-off’ sightings, from the true indicators of surviving micro-populations, the latter of which require careful systemic attention. For example, tiny populations of lions were thought to have survived in the remote Saharan Atlas mountains for decades after the species was considered extinct from North Africa (Guggisberg, 1963; Black, 2016). As for the exceptional one-off sightings – well they offer hope*; hope that a suitable habitat can be utilised for future lions population to find genuine refuge. *Note: the recent unexpected sighting of a Spix Macaw in the wild, not seen in the area since the last known specimen disappeared in 2000 is a good example of an exception. No one believes the animal has been kept hidden for sixteen years – this individual it is most probably a recent captive release. However the learning point is – can this animal survive in the remaining habitat, does it display survival behaviours and would in situ conservation of the species be a viable proposition that can be taken forward seriously? This entry was posted in Conservation, Ecology, Extinction on September 26, 2016 by Simon Black.